In the belief that music molds and captures the American spirit, NOTABLES USA brings a new side of our country’s leaders to the forefront and applauds their musical achievements. 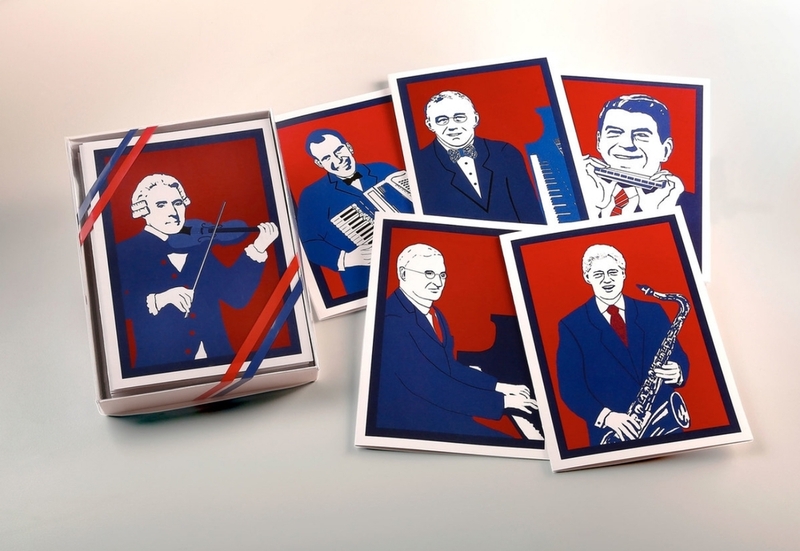 Highlighting these accomplishments, “Hail To The Chief” is a new series of original and unique digital composites that combine presidential portraits and the instruments they played using a variety of mixed media techniques. 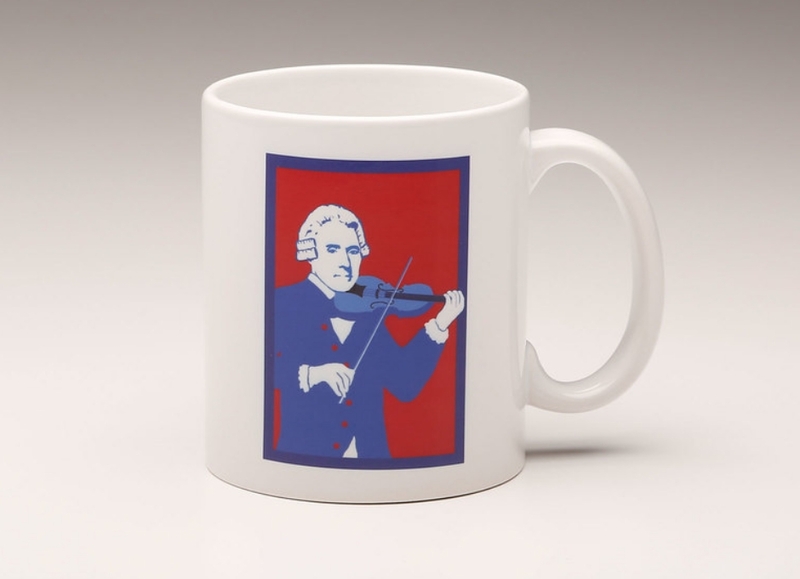 NOTABLES USA also produces note cards, mugs and other accessory items using the same artistic theme together with presidential quotes about music. 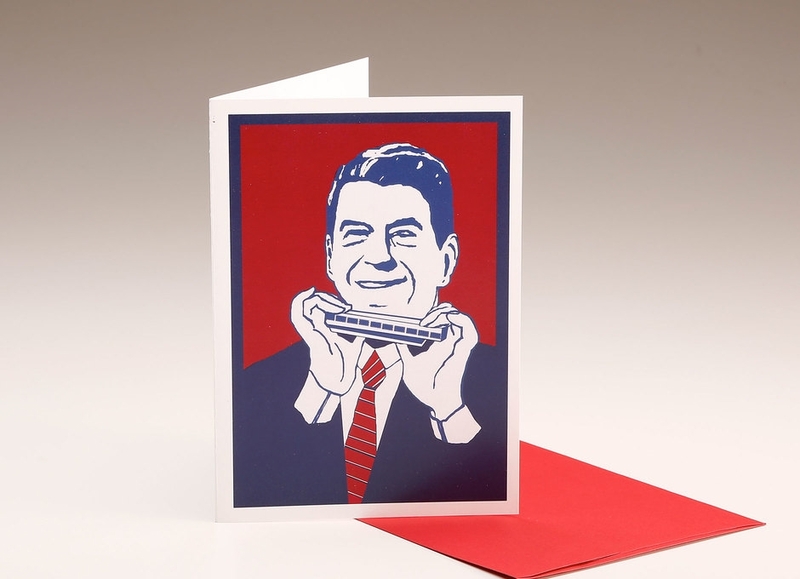 Individual Note Cards – $4.95 each. Quote inside. Available for all 6 presidents, Jefferson, FDR, Truman, Nixon, Reagan & Clinton. Quote inside. 2 each of 6 presidents. Quote inside. 10 of one president. Available for all six presidents. 11 oz. Ceramic Mugs – $14.95 each. Quote on back. Available for all 6 presidents. $75.00 each. Portraits are digital. Available for complete series of 12. Custom framing upon request. *Please email info@notablesusa.com for wholesale entry code.